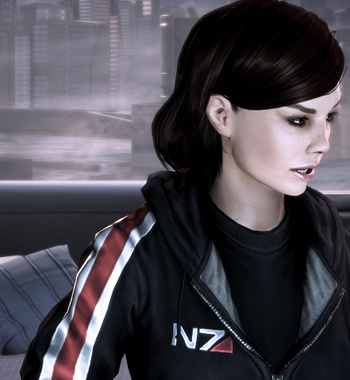 EA chief executive John Riccitiello has shared early numbers regarding the recent launch of Mass Effect 3. Speaking at the Wedbush Technology, Media and Telecommunications Conference in New York City, Riccitiello said that he is feeling awfully good about the release, estimating that the game sold 890,000 copies in the first 24 hours in North America and 3.5 million copies have been shipped to retailers. Riccitiello further noted that the launch-day DLC available for the game was purchased by 40 percent of GameStop customers alongside the title. This is the highest tie ratio in store history; all good news for EA and Bioware but many fans of the series are feeling exploited after (optionally) having to immediately shell out more money for launch-day DLC that some claim is already present on the disc. In other EA news, the CEO also gave those in attendance an update on Star Wars: The Old Republic. Riccitiello said there were currently 1.7 million active subscribers to the online game. As Venture Beat indicates, this isn’t much of a change from the numbers EA reported during their earnings call last month, save for one small detail. Many of those in the initial subscriber count were using 30 day free trial subscriptions. The majority of those trials have probably run their course and the revised 1.7 million count is likely comprised of paying customers only. Riccitiello said that Star Wars was the most successful MMO through this period in the history of the industry but there is a much larger opportunity in front of them moving forward.